Fight fans who are disappointed at the (probable, almost certain) Anthony Joshua-Alexander Povetkin fight taking the place of the big Joshua-Deontay Wilder clash will at least have the satisfaction of knowing Povetkin and Joshua will be VADA tested ahead of the fight. As fans know, Russian star Povetkin, the former WBA heavyweight champ, failed two drugs tests back in 2016, a big fight between he and WBC ruler Wilder falling apart as a result. 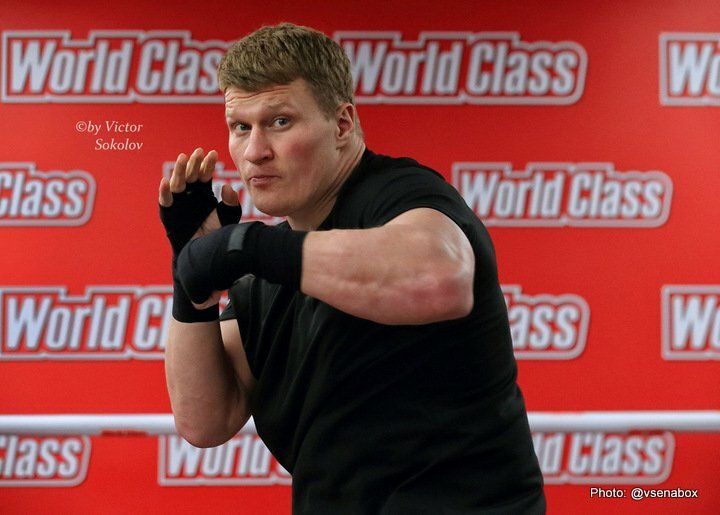 Now, with the random testing of VADA set to be undertaken, Povetkin and his fans aim to prove he can and will win and is above all a clean athlete. It would be an upset for sure if 38 year old Povetkin did defeat AJ and take his three belts, and the big Joshua-Wilder fight would be even more unlikely if this did happen. We would perhaps get to see a Wilder-Povetkin fight after all. Promoter Eddie Hearn has said a number of times how he sees the Povetkin fight as a hugely dangerous one for his fighter; one he has not and would not have taken by choice. Can we expect a great fight in September (the probable month the fight will take place in) or is Joshua too young, too powerful and too determined for the 11-years older man? Povetkin has of course never been stopped – with even a prime Wladimir Klitschko unable to KO him – and it would be a pretty big statement by Joshua if he became the first man to take out the Russian. Not enough to make people forget all about the whole Joshua-Wilder mess, but a big statement all the same. Both men can punch and we should see an exciting, dramatic fight in September. Joshua has to be the firm pick to win but there could be some scares along the way.